Get in touch to arrange a delivery. Delivery days will be assigned through our head office. 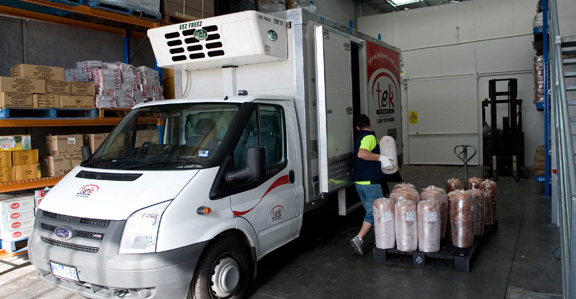 Tek Foods Pty Ltd has made it a principle not to aggrieve our customers under any circumstances and to satisfy them with the service we provide. The particularities we take extra cautiousness whilst delivering is pace, health, reliability and a smile on our faces. For any complaints and inquires please contact our service representatives during week days.